Drone delivery is slowly but surely leaving the realm of science-fiction and becoming a reality. JD.com, one of the largest online retailers in China second only to Alibaba, started its drone delivery program last year, flying parcels via unmanned aircraft to four provinces: Jiangsu, rural Beijing, Sichuan and Guangxi. In those provinces, JD has regulatory approval to fly its drones, but this year the company is working to get approval from more local governments across China to expand its drone service. Right now JD offers drone delivery to about 20 fixed routes. By the end of 2017, though, the company aims to have 100 delivery routes open across the country. JD designed its own aircraft, and there are five different types of drones that are used depending on the size of the parcel. 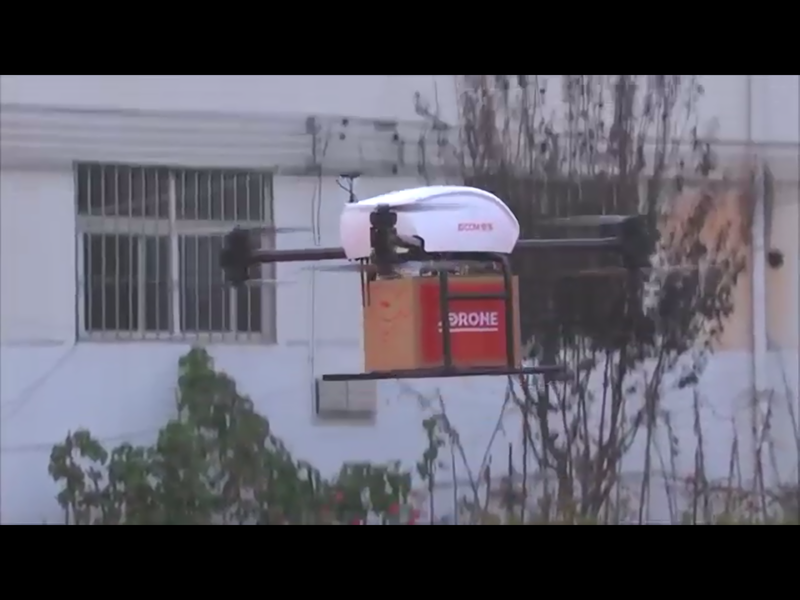 What takes 20 minutes by car can be delivered in 5 minutes via drone, JD.com claims. The JD drone system is powered by an automated infrastructure system that is seamlessly integrated into our own logistics system and was developed and patented by our own JDX team. Research on the program began in October 2015 and pilot trips were launched in June 2016.Since then the JDX team has successfully completed thousands of test flights. We now have five models and a fleet of more than 30 drones in operation, all of which were designed and engineered by our JD team and built to our specifications to meet our unique needs. Designed for safety and stability, our drones can transport and deliver packages weighing between five kilos and 15 kilos and cover distances as far as 50 kilometers.